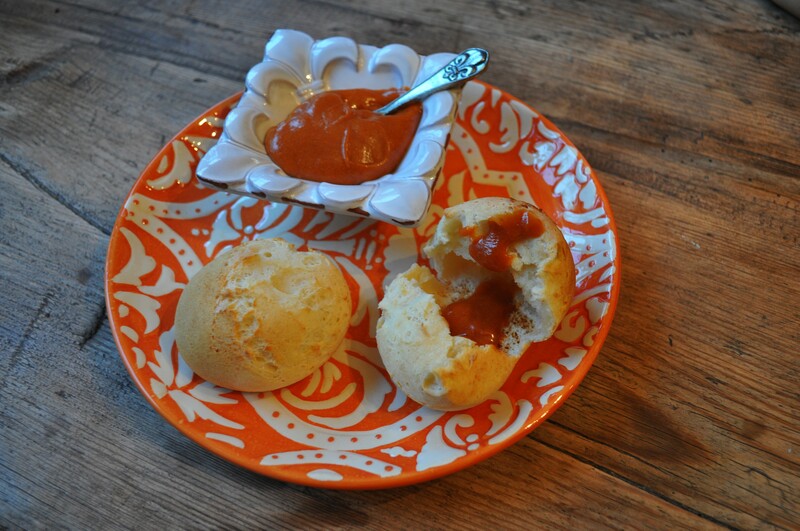 Pan De Yuca con Mantequilla de Guayaba y Chile: Yuca Bread with Cheese and Guava Chile Butter | The Sassy Spoon: Fun Food! This gluten free recipe is an inspiration by Jose Garces from his fantastic book, The Latin Road Home. He is an Ecuadorian who was raised in Chicago. The book covers foods from Ecuador, Peru, Mexico, Spain & Cuba. 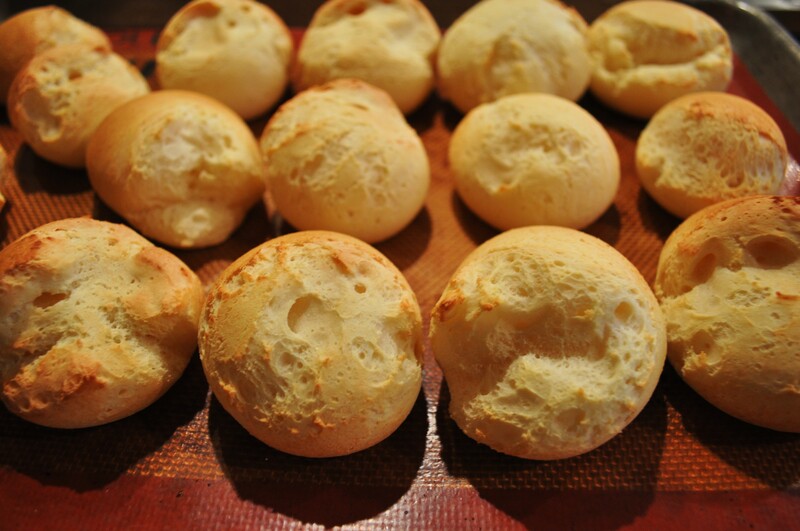 This bread is made all over South America, but the recipe varies greatly from country to country. The Yuca flour is easy to find in most Hispanic Markets, it is often called Casava Flour or Tapioca. The brand I got was Brazilian and reading the label was a challenge. I do read Spanish, but Portuguese, not so much. The ratio of flour to cheese sounds kind of crazy, but it works. Serve the bread hot from the oven for a spongy texture or warm (for a denser interior with the dough settling more and forming air pockets). In the bowl of a food processor, combine the flour, baking powder, salt and sugar. Pulse a few times to combine. Form into a log and cut into 10 equally sized pieces. 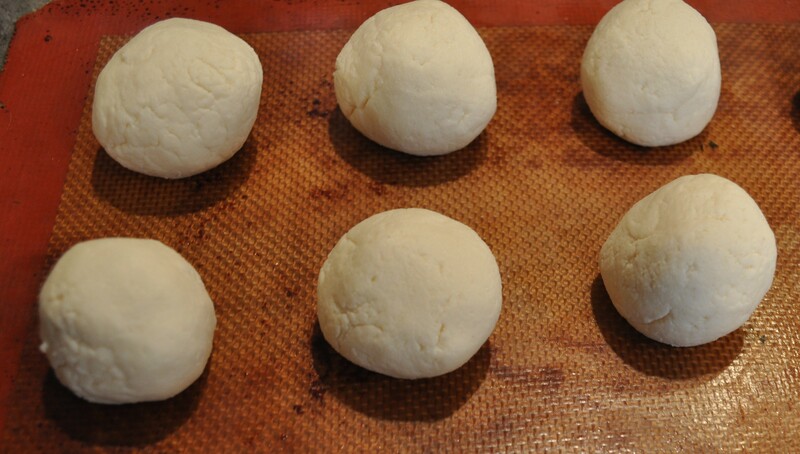 Roll into balls, These will be slightly larger than a golf ball. In the bowl of a food processor, place the guava paste. Pulse a few times to loosen it up. Add the remaining ingredients and pulse till incorporated. This can be stored in the refrigerator for up to two weeks. I served this with green chile and chicken posole. It would go great with soup, stews, chili or as an appetizer course. 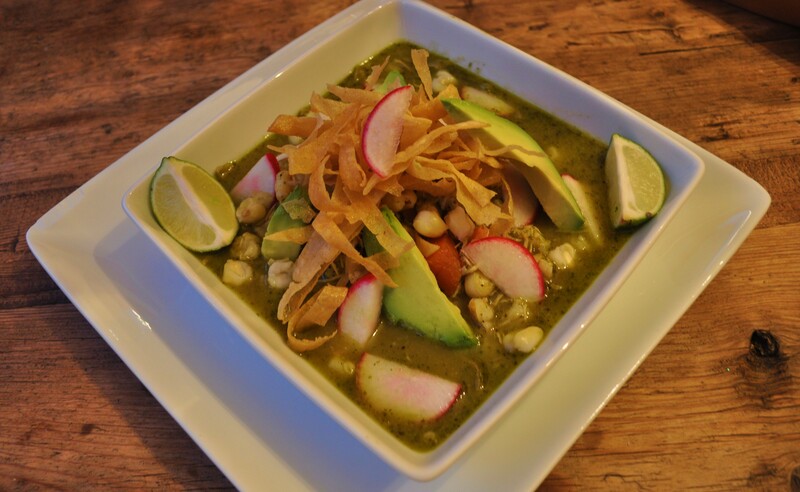 I will be sharing the Posole recipe next. 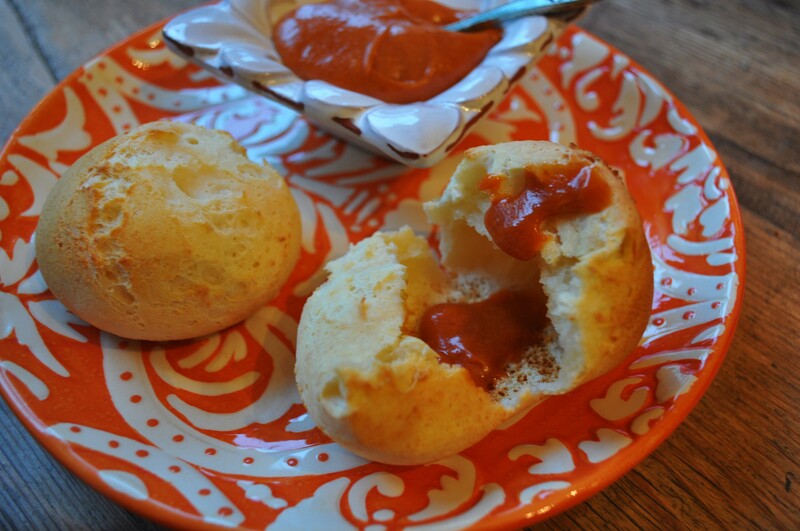 Pingback: Ouinoa and Corn Chowder from Ecuador | The Sassy Spoon: Fun Food!